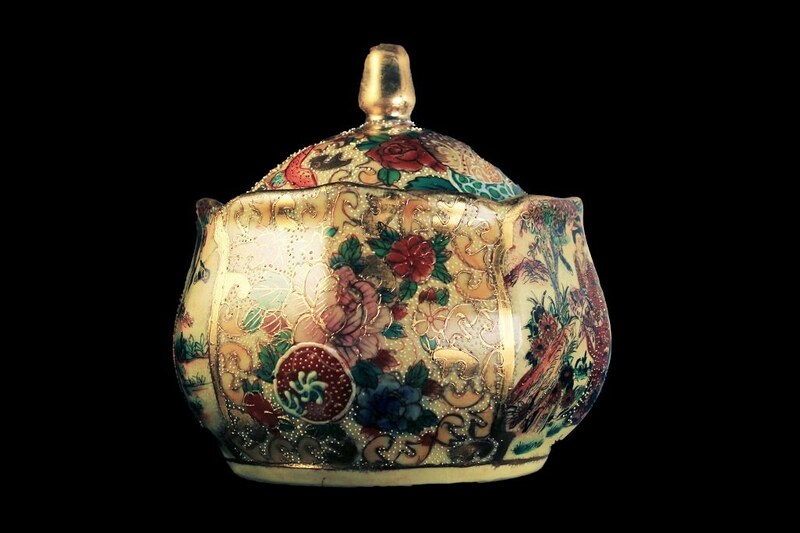 A gorgeous antique Satsuma Biscuit Jar. 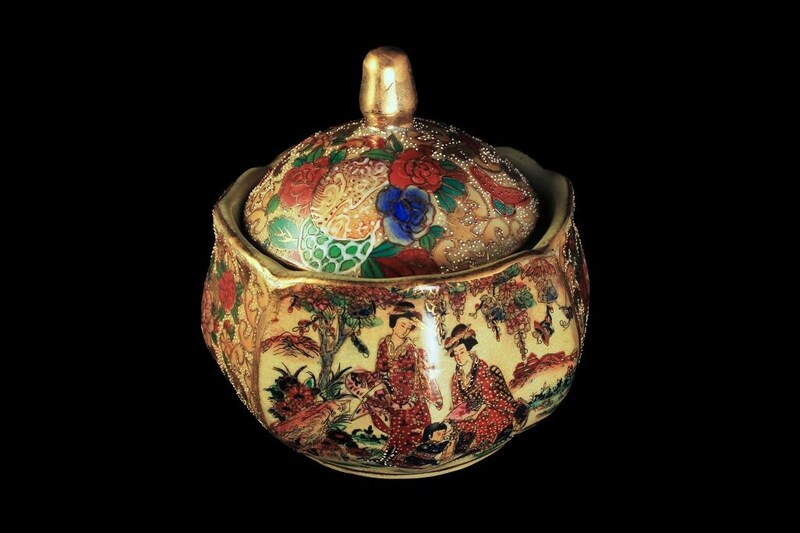 This was made during the Meiji period. 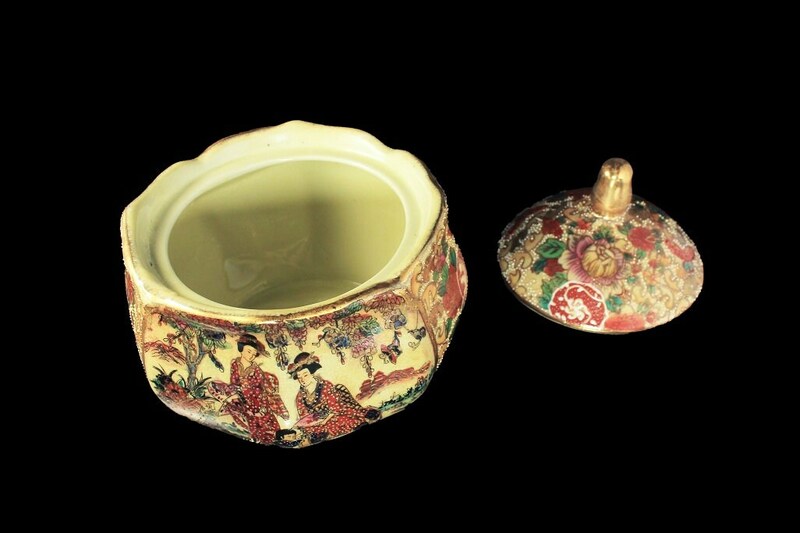 This bowl is handpainted in a geisha and floral pattern. 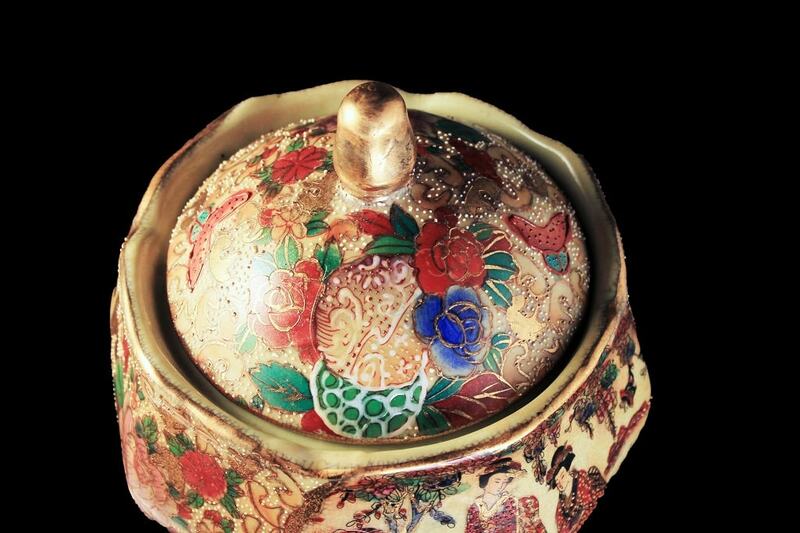 It has a Moriage finish and lots of gold gilt. 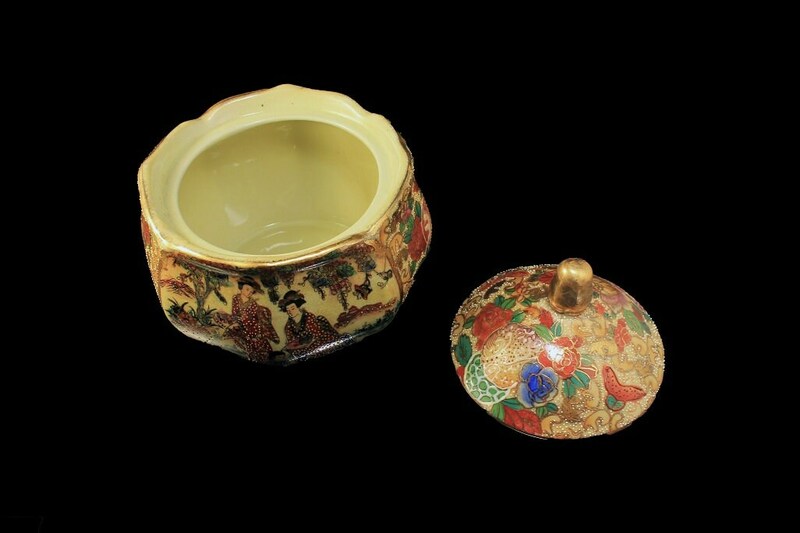 It has the signature crackle finish and reds, orange, blue and greens of Satsuma pottery. This would be a great piece for a collector. It would look marvelous on an entry table, dining table, or buffet. A wonderful addition to a Japanese collection. 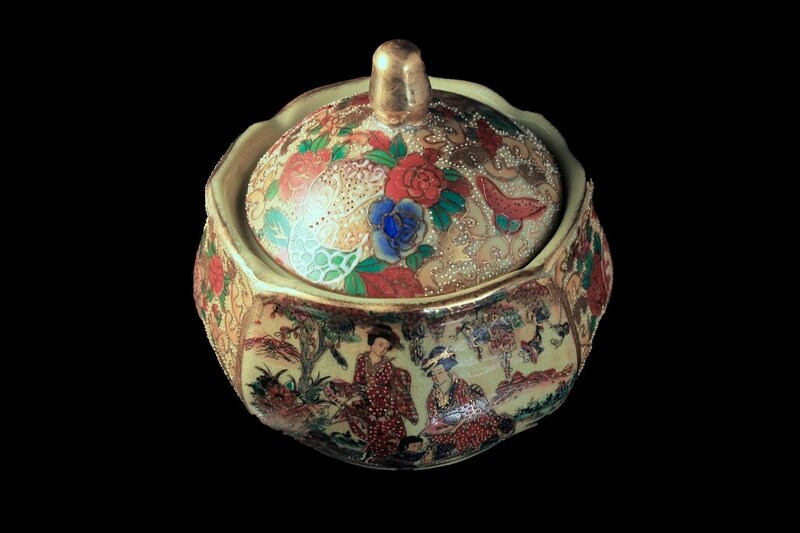 This dates from the Meiji period (1868-1912). 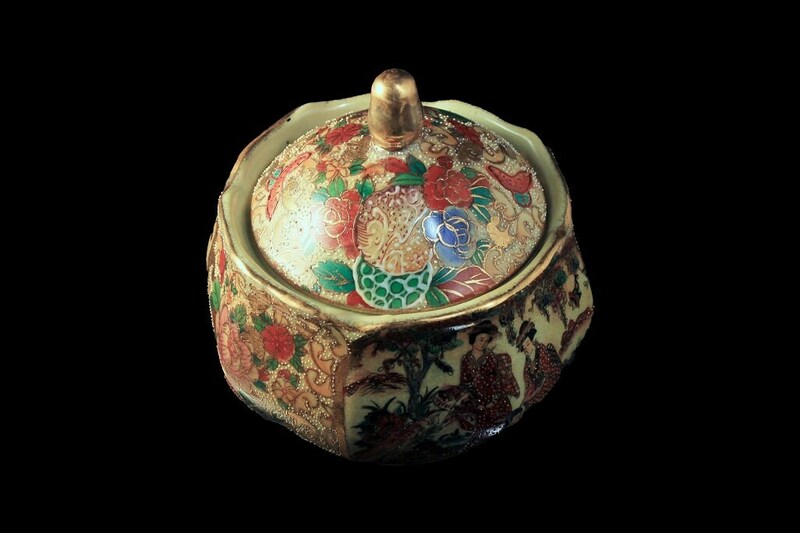 Moriage is a special type of raised decoration used on some Japanese pottery. Sometimes pieces of clay were shaped by hand and applied to the item; sometimes the clay was squeezed from a tube in the way we apply cake frosting. Geshia is a Japanese hostess trained to entertain men with conversation, dance, and song. This bowl is in excellent condition. There are no chips, cracks, or crazing. 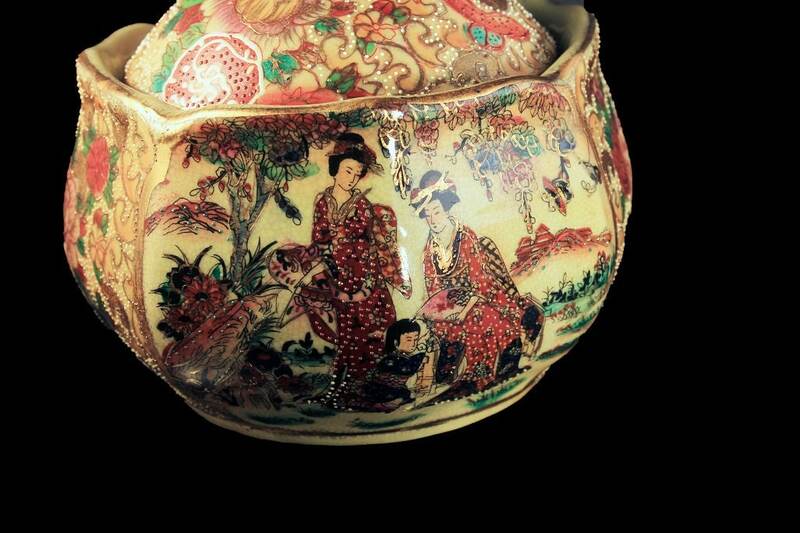 This piece is unsigned but has all the characteristics of Satsuma Pottery. There is rubbing to the gold gilt from years of being loved. Shipping charges includes insurance coverage. This bowl would make a great wedding or holiday gift. 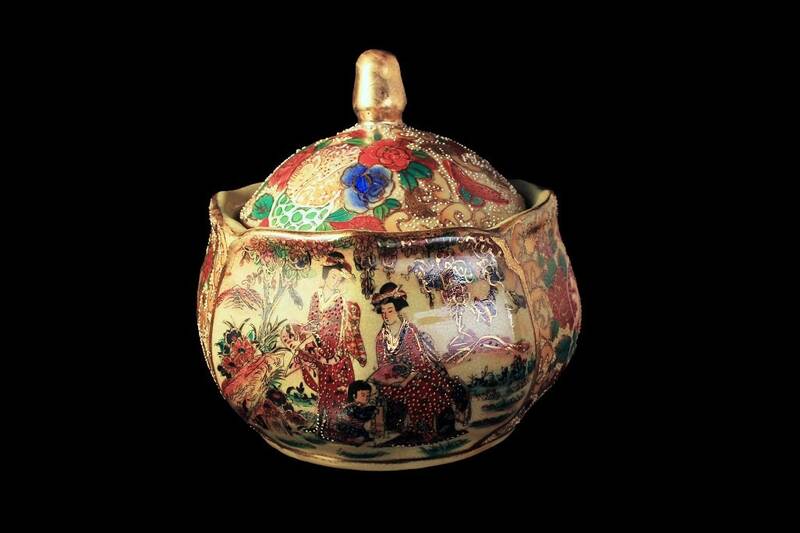 Perfect gift for the collector of antique Japanese pottery.